Guests under the influence of alcohol or intoxicating drugs are not permitted on the riding tours. 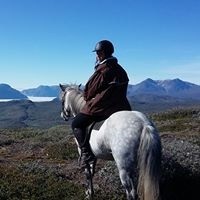 All guests must participate in the riding tour by their own free will and they are obliged to inform the tour guide of any condition that might affect their ability to participate in the tour. All guests are obliged to listen to and acknowledge the safety instructions. We reserves the right to alter routes, itineraries or timetables without prior notice, should the necessity arise. No liability is accepted for loss or expenses due to delays or changes of arrival or departures of flights or other services, injury, sickness, accident, strikes, damage, negligence, weather, wars or other causes outside of our control. All such losses and expenses are the personal liability of the traveller. The estimated duration of tours as indicated by km or timing can change according to road or weather conditions. If the cancellation is received later than 6 weeks prior to departure, 25% of the tour price is charged. If the cancellation is received later than 3 weeks rior to departure, 50% of the tour price is charged. If the cancellation is received later than 48 hours prior to departure, the full tour price will be charged.